Church Farm01366 382162work FarmA fantastic day out , full or family farm fun. Meet the friendly animals, take a tractor ride around the farm or play on the adventure playground complete with trampolines. 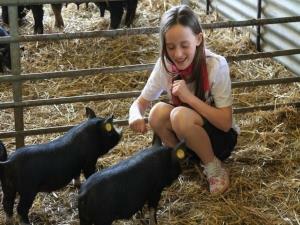 A fantastic day out , full or family farm fun. Don’t forget to jump around in the straw barn, make sandcastles in the giant undercover sandpit or have a race on the pedal tractor trail. There is also a fabulous indoor play area and delicious homemade cakes and lunch are available. Some concrete areas around the farm are quite rough, but still negotiable by wheelchair or pushchair. The petting pens have a seperate access for wheelchairs (please ask staff).